Shopping at Ikea just got more rewarding. The global retailer of moderately priced Swedish furniture and housewares has introduced a new credit card: Ikea Visa. Click to see the best and worst home goods to buy at Ikea. Reward certificates are issued in $15 increments with your billing statement and are valid for the next 45 days. 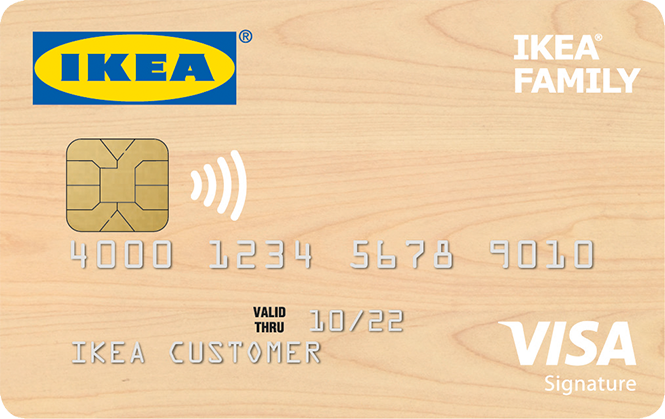 The new Ikea credit card is especially attractive to people with renovation or redecoration projects this summer. To sweeten the deal, approved cardholders will also receive $25 off their first Ikea purchase, a bonus $25 Ikea reward certificate for $500 spent within the first 90 days, and free shipping and delivery on in-store Ikea purchases now through Aug. 31. Since 1943, Ikea has offered renters and homeowners alike the opportunity to fill their homes with affordable wares with an unmistakable Swedish-minimalist aesthetic. For decades, Americans have shopped Ikea’s notoriously massive warehouses and butchered the names of products like Svenbertil, Poang and Djungelskog. As with all credit cards, consumers should be mindful not to let their balance build up. Otherwise, your Trygghet could end up costing you more money as a result of the card’s 21.99% APR. Click to keep reading about other brands launching credit cards, including Starbucks and Uber. Learn how to avoid Belk credit card late fees.